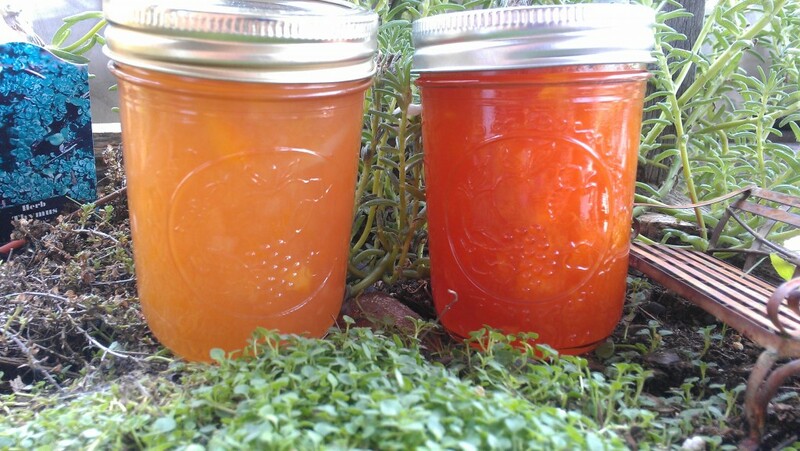 Peaches and Nectarines (and jams and marmalade and preserves). It’s going to be a Peach-palooza! I recently posted about the early arrival of five pounds of peaches off our tiny, tiny redhaven peach tree. I made a fantastic peach marmalade from that batch (will share that recipe soon). But, The Hubs needed more fruit and jam. So last weekend we were off on a foodie adventure, traveling forty miles to a great orchard: Livesay Orchards. We were tempted to buy some over-ripe tomatoes for freezing sauces, but I nixed that idea. I was convinced I would have my hands full putting up all of this produce. I made LOTS of jam, marmalade, preserves, one pie, and froze a bit. I found a super easy and good recipe for peach honey here. From Farm Journal’s Freezing & Canning Cookbook with a few notes and updates. Quarter the orange but do not peel it; you might want to remove some of the pith. Put the orange quarters and the peaches in a food processor. I had to do this step in two batches. Pulse until chopped. Do not puree the mixture. Remove to a large (2 quart) measuring cup. Measure fruit mixture. You will need to add one cup of sugar for every cup of fruit. For example, I ended up with 8 cups of fruit so I used 8 cups (OMG!) of sugar. Place in a large saucepan or kettle. Bring to a boil, stirring constantly, and then reduce heat to a simmer. Cook approximately 20 minutes, or until of desired consistency. Ladle into sterilized hot jars to within 1/8″ of jar top. Wipe rims and add lids and rings. Tighten. Process in water bath for 10 minutes. Remove from bath and let set undisturbed. Listen for the pings that your jars are sealing. *The best way to peel a peach is to submerge them in boiling water for about 30 seconds. Remove to a water bath and then they easily slip out of their skins. 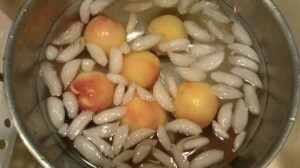 I made this with both the white and red peaches. I had some of the white peach honey this morning on some fresh Challah bread. Delicious! The cookbook states to “Try it on grapefruit or toast—makes winter breakfast taste like spring.” Hmmm—I wonder how it would be drizzled across a slightly broiled grapefruit? White peach and red peach honey (in my fairy garden). 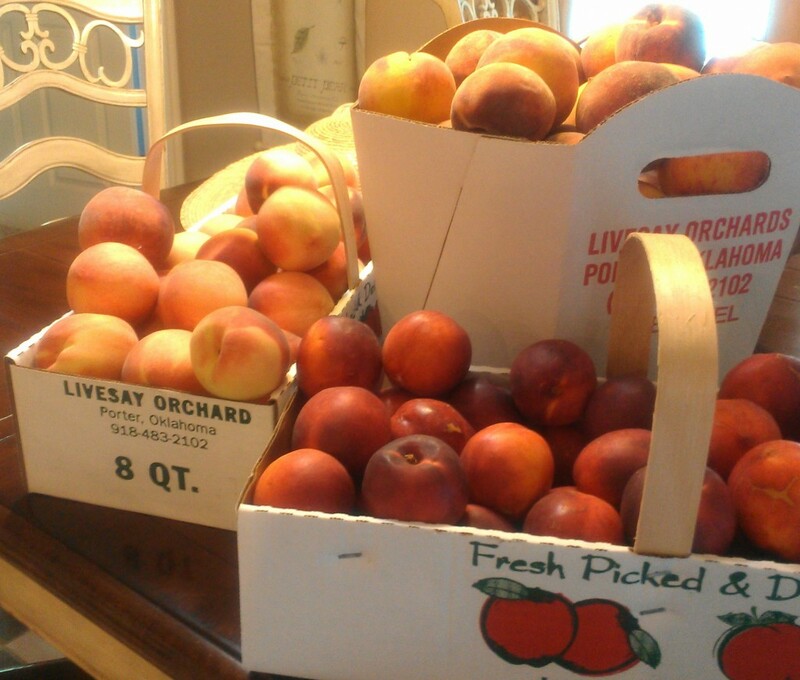 Stay tuned for our Peach-palooza as I put up the rest of this bounty! 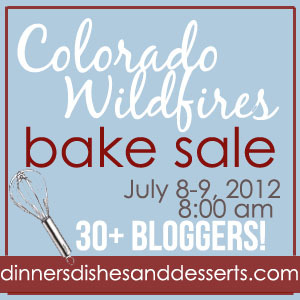 Also, please remember that the Colorado Wild Fire Bake Sale (hosted by Erin at Dinners, Dishes, and Desserts) starts today. Please click here to keep up with latest on the auction. 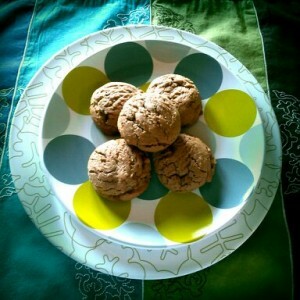 Don’t forget to check out my nutella cookies that will be up for sale! And for just a preview of Peach-palooza—what’s coming up? And a blackberry breakfast bar thrown in for good measure! 18 comments to Peaches and Nectarines (and jams and marmalade and preserves). It’s going to be a Peach-palooza! Glad you liked the recipe, CCU. I might have to argue with you that these were almost too many peaches! o my…that’s LOTS of peaches! Love the homemade jams. Love all the summery fruit. 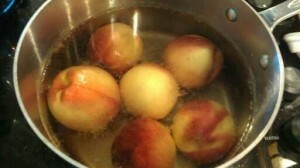 Also, love your food tip about peeling peaches. Would you be interested in letting me post your tip on my new “food tips” page? That is no problem. Please feel free to post it. I’m ready for the palooza! Hellooooo from the Peach State! 🙂 i really need to learn to can. We have an amazing crop of peach this year and I know this honey would be a breath of fresh air year-round! 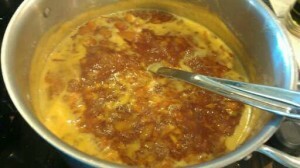 Wait until I post about peach marmalade tomorrow!!!!!! Canning is super easy (but messy). Hope you try it out! Shame on me for not keeping up on my blog reading-I missed the sale! Well, I don’t have any money but, I’m still mad! lol Lucky you on having such a plethora of peaches that you can have a palooza! lol Your jam sounds soo yumy with the whole orange in there. I remember making a healthy carrot cake for my nephew’s first birthday (they wanted a naturally sweetened cake and carrot seemed easy to healthify) that had a whole orange in it. It sounded weird but it was good! Good to hear from you, Veronica! That cake recipe does sound delicious and blog-worthy. Did you post it? Nothing is more beautiful than jars of homemade preserves lined up on pantry shelves. These look delicious. Fresh picked peaches are so good. We have a tree full of ripe apricots right now. Jam, fruit leather etc. is in our future. Oooh! I would love some apricots. There are recipes in this book for Apricot-Orange Marmalade, Apricot-Rose Jam, plus a few others. I would love to try these. Do you have good recipe for fruit leather?